Today I came across an old post about the Feline Draught Stopper, then WIP.. It took a while to complete, but last year it was finally done, and in use. Tadah! Here above it is, washed, stuffed and ready to be put in action again after the summer. I omitted the original feline head and tail, so it’s fair to say that cat is no more. I had to leave them out because they were going to be in the way when put in place on the window. To make it I have (re)used materials that I had already in store. The outer shell was made with assorted wool rests, while the inner filling was done reusing bubble wrap from deliveries – just gathered together and rolled as a sausage. Above, on the right, you can see another draught stopper sewed by a friend of mine. It is made with fabric rests and vintage snap fasteners to close the side opening. And here it is in use: preventing the cold draught coming in from the sash window, and also saving heating fuel. Good for the environment and for the purse! With cabin luggage only, there was no space to bring yarny stuff. But then I wanted to knit, so the easy solution was to get some yarn locally: I chose Avantgarde from Adriafil, because it’s locally made pure wool and can be machine-washed. I liked the pale blue shade with bits of colour. I made up a simple pattern for a vest – nothing very special, just a simple project. After coming back from the holiday, things became quite hectic: I graduated and started interviewing. 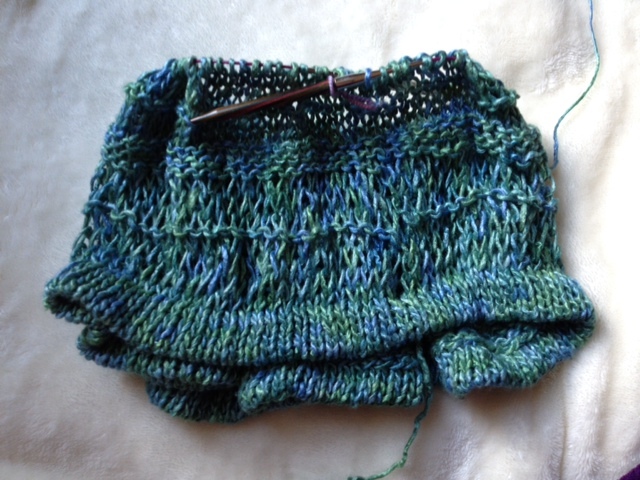 Today I finally resumed work on the back part of the vest and, despite the 4ply yarn, the progress is visible – better, it would have been visible if I had taken recent pictures! I fully appreciate that photos from the holiday sightseeings would have constituted a far more interesting post content! 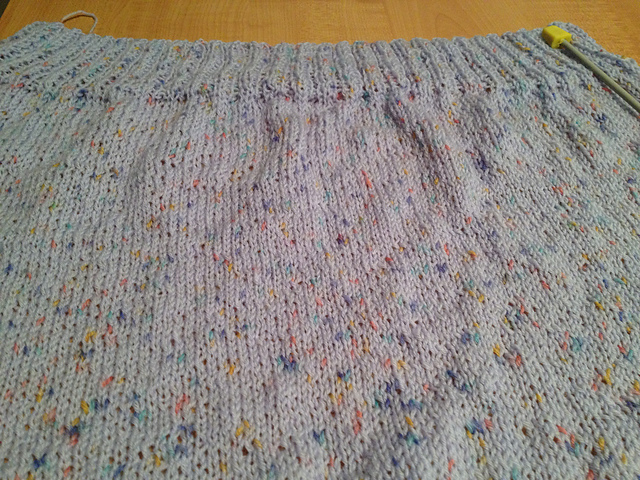 The main axis was shifted by a couple of stitches. Is it destiny that I unravel it back to that point? That’s more or less the same point where the shading didn’t fully match. Of course, I would rather not do that, considered the 200+ sts in each row – about 20 of them. Also, it seems difficult to place a lifeline following one row, because the horizontal pattern is not laying straight. The silk forest theme is awaiting for a decision and more silk yarn (ordered)… meanwhile, I wanted to try out how the knitting with this silk would have been. 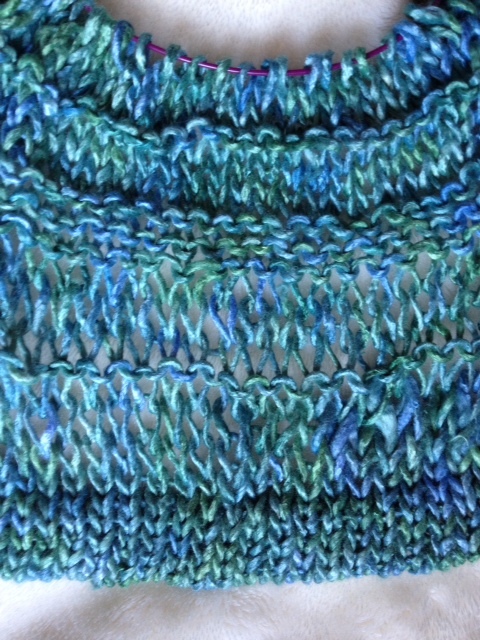 Using a skein in Seaweed shade and summery colours, the test Sea Top was born! 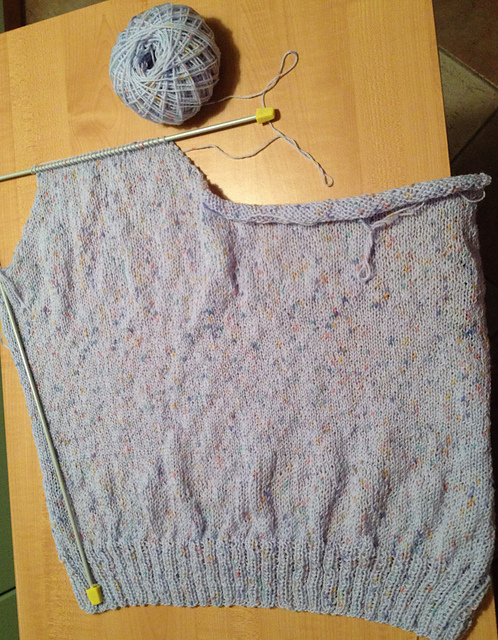 It is based on the free pattern Simple Irresistible by Espino Susunaga. My idea is to have an easy-to-wear, cool and lose top to juggle over a summer outfit – while at the same time testing the silk yarn behaviour. The silk so far has proved to be relatively easy to knit, a bit “papery” looking in some spots, but with a nice subtle sheen and easy drape. The lose fit gives the top some nice bouncing. 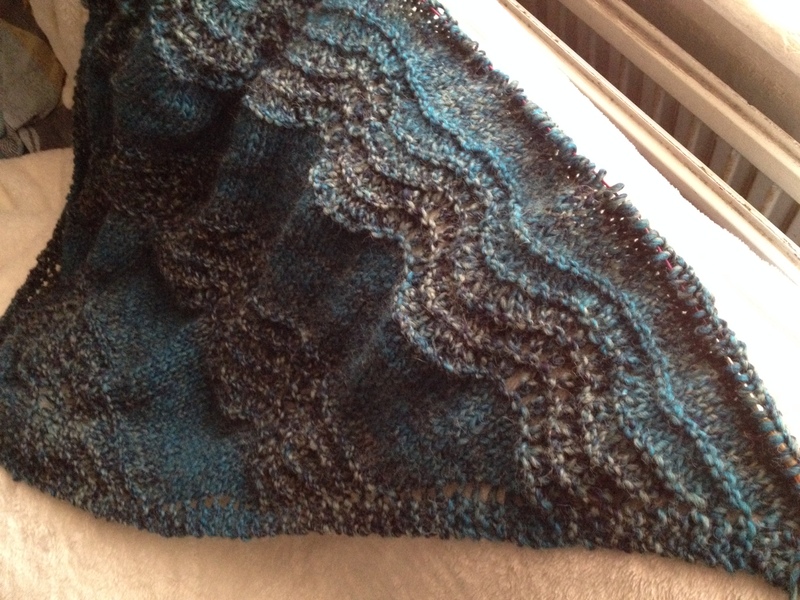 While I’m pondering on how to proceed with the Old Shale Shawl, I was tidying up some of my stash. We shall not go into details of the stash, though. 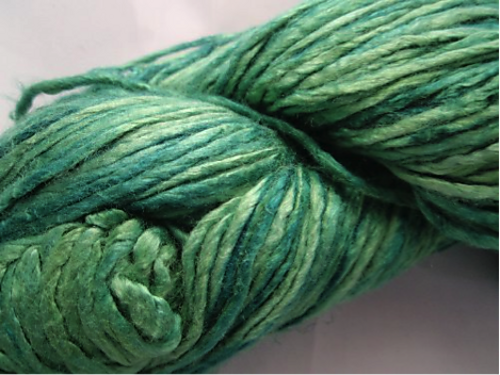 I rediscovered some silk yarn I purchased while ago because of its colours – greens, with shades of blues or browns. Not a surprise, lol. Looking up on Ravelry, there were quite a large number of patterns for the “forest” keyword. I didn’t get through even a fraction of them and already found many a beautiful one – some even free. Though, I have never knitted with silk yarn before and don’t know what to expect. I understand that it has little to no elasticity, which is confirmed by the feeling while balling up one of the skeins. 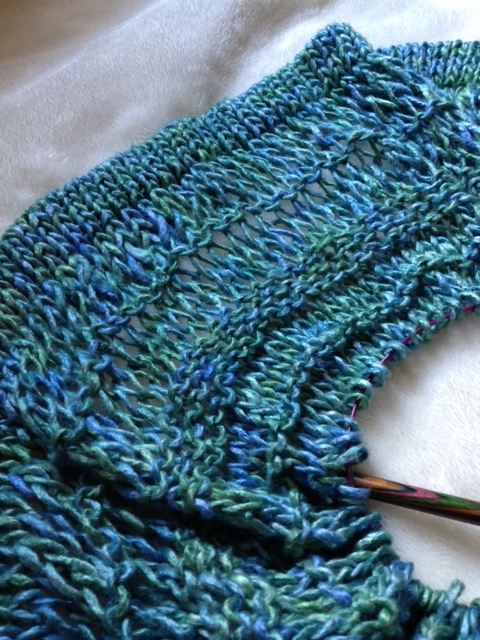 I would love to hear about your experience with silk, how did you find knitting with it? The natural shading no longer matches with the previous repeats. Sigh. My rational side suggests to place a lifeline, unravel back to the end of the last fan motif and reknit with matching colours. The practical side of me, who would like to avoid the hassle and finish this before next week, is not agreeing so much. 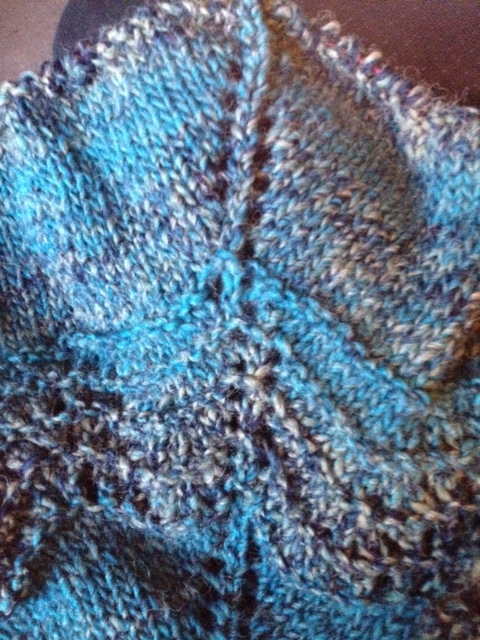 For the moment I just left the shawl aside, with the risk of getting stuck. I’ll give some more time to think and then need to make some decision! 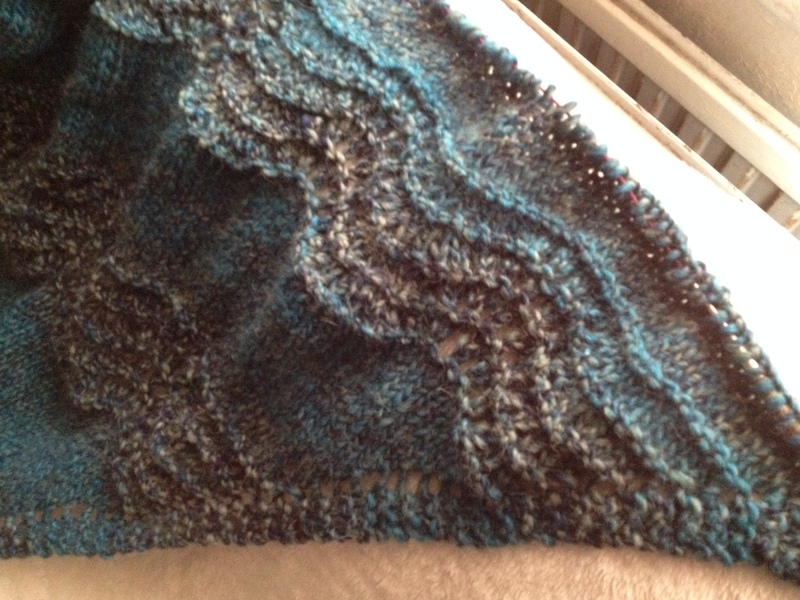 The Old Shale Shawl is progressing well and just hit the 100th row. 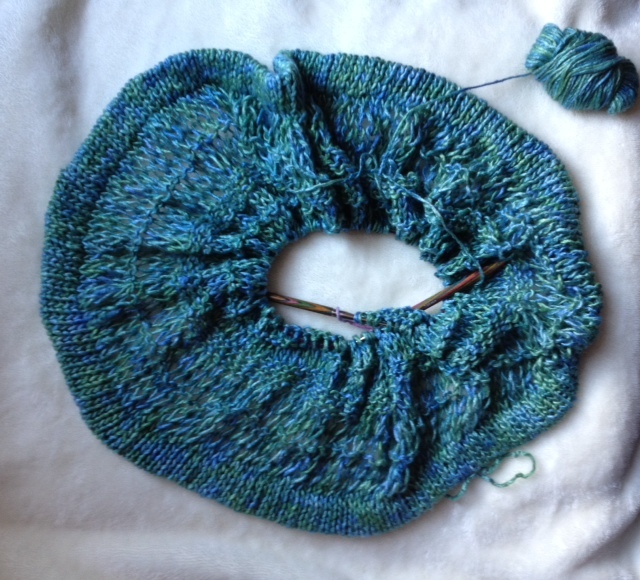 It is getting fairly large, I just hope that the 80cm circular will hold it until the end – I wouldn’t really fancy having to shift the 200+ stitches across. 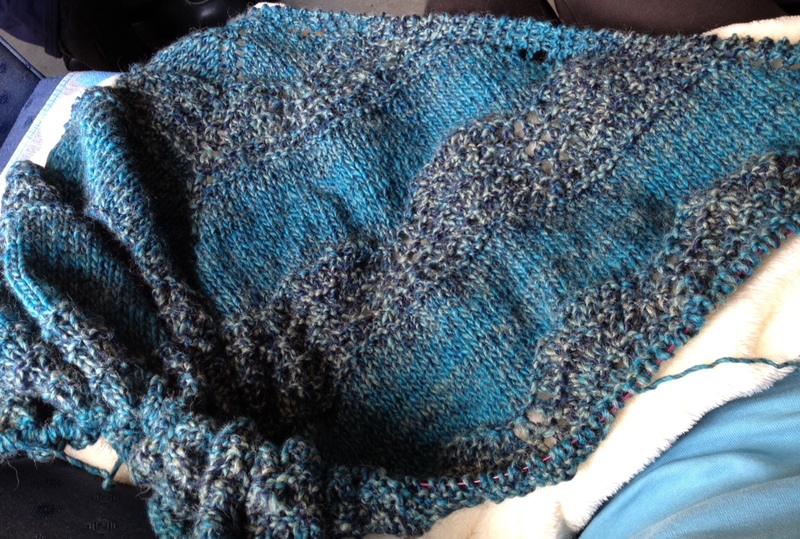 I’m in love with the shades of the yarn and can’t wait to have it bound off, so I can stretch and see it in full! "La Verità è nascosta fra le pieghe della Storia"
Knitting is: a craft, an art form, a way of life.